Myokem is far and away 2014's hottest new supplement company. They entered the market with a massive bang thanks to their explosive, focus-based pre workout supplement, Nitramine. 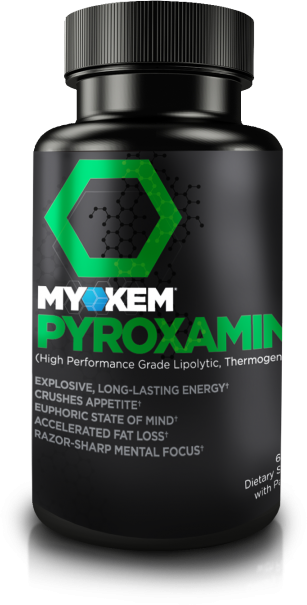 They followed up with the thermogenic fat burner, Pyroxamine, and have three other products in the works that we're aware of. Myokem's leadership team brings experience from several extremely successful companies that you have undoubtedly heard of. After seeing far too many gaps in the market that nobody wanted to dominate, Myokem's CEO decided it was time to cut ties and do it himself. It all starts with Nitramine. Named after the explosive substance, this product was intended to take on the top-end of the pre workout supplement market that has long been lacking a clear leader. With 4 science-backed strength and endurance ingredients, and a whopping 10 energy and cognitive focus enhancers, there is no doubt that you'll be feeling this unique formulation. But don't let that scare you - the amount of caffeine is actually quite limited - just 150mg per scoop, and most people never even need to come anywhere near the two scoop limit. This is due to the potency of the nootropic (brain enhancing) ingredients in the supporting cast. If you want the mental focus and great mood of Nitramine, but want to couple it with fat burning effects and don't need the pump boosters, then Pyroxamine is your go-to fat burner. The stimulant blend is made to not only mobilize your fat stores for easy burning in the gym, it provides smooth energy, incredible mood support, and amazing appetite suppression for those rough days on the diet. We look forward to all of Myokem's future products. Stay tuned to this page and sign up for price alerts to be notified when new products are out and the prices drop! Picamilon Banned by FDA: More than Meets the Eye? Picamilon is in the FDA's crosshairs due to a new study by Dr. Pieter Cohen. Is there more at stake for the supplement industry than meets the eye? Betaine, or Trimethylglycine / TMG, is an amino acid that builds muscle size, strength, endurance, and performance similarly to creatine. Try betaine! Myokem mTOR Pro – Time-Released BCAA Supplement! 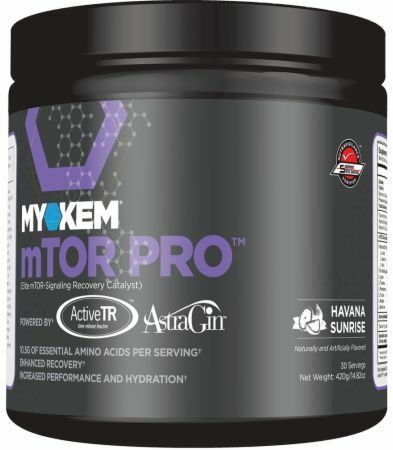 mTOR Pro is Myokem's newest addition, a BCAA / Amino Acid Supplement that contains ActiveTR, an industry-first time-released leucine for major gains! Mick's final Myokem Magnitropin Review is in (with before and after shots). Take a look at his gains and final opinions here! Mick’s Myokem Magnitropin Log – Week 3 – Noticeable Gains! Mick's been running Myokem's Magnitropin anabolic supplement, and his week 3 results are in: noticeable gains from those who didn't know he was on it! Mick's Myokem Magnitropin anabolic supplement log - week 2 - is here. Come look at the fullness in his chest! Mick’s Magnitropin Log – Week 1 Results: Up 3 Lbs! Week 1 of Mick's Myokem Magnitropin log is in the books, and he's up 3lbs and is always hungry! This could be THE anabolic supplement for many of you! Mick is running a log on Myokem's Magnitropin anabolic supplement. Here's his introduction - more coming soon! Magnitropin – Myokem’s Game-Changing Anabolic is Here! 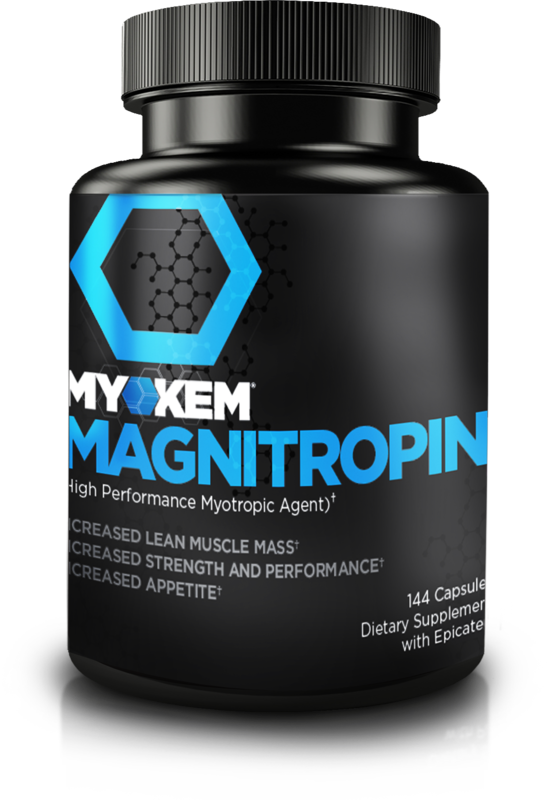 Magnitropin is Myokem's next-level anabolic supplement that may work as a myostatin inhibitor, follistatin booster, and overall performance enhancer! 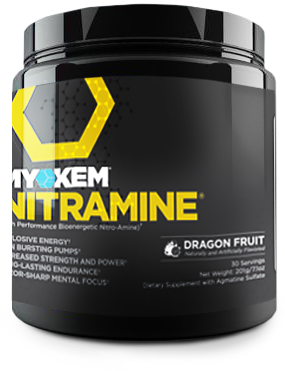 In early 2014, Myokem released the Nitramine pre workout. Our Nitramine review talks ingredients, effectiveness, and taste. Preworkout of the year! Sign up for future Myokem news! Click the button below to sign up for future Myokem news, deals, coupons, and reviews! Sign up for future Myokem deals and coupons! Click the button below to sign up for future Myokem deals, news, and coupons!